Mount Dora, Florida (June 3, 2016) Up and coming Gospel singing family group, Great Day, is excited to announce their first Mid-west tour. 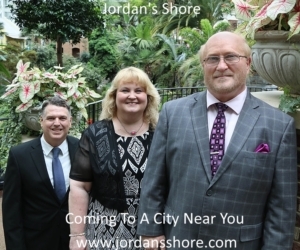 Coming all the way from the great state of Florida the group consists of Dad, Mom, two daughters and a son who are looking forward to expanding their area for ministry. Great Day’s newest single release, “It Wasn’t Raining” is set to go to radio in June. It’s a new Kenna West/Lindsey Williams song that speaks to the faith of the most faithful man in the Bible and to the everlasting promise that God will guide us through anything, even if we can’t make sense of the situation. Trust God always, step out in faith, and know that He is always with you to guide and protect. In the end, no matter what, the blessings will come. To learn more about Great Day you can go to www.greatdaymusic.com or the group’s FaceBook at www.facebook.com/Great-Day. For booking information, contact Bill Ferguson at 407-733-6165 or E-mail them at bookinginfo@greatdaygospel.com. Great Day is a gospel music ministry dedicated to serving the Lord and spreading the Word of God through song. Great Day is made up of husband and wife Bill and Brenda Ferguson, and Lisa Ann Ferguson. Based in Central Florida, Great Day was called into the ministry in 2005 and has been ministering throughout Florida for the past 5 years. In 2011 Great Day experienced a year of growth and great blessings. 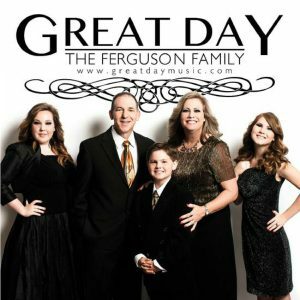 Great Day provides a wide range of music, from old quartet standards, to fresh new arrangements from some of gospel music’s most prolific writers. As the reach of our ministry has expanded to include the Southeastern United States, our concert schedule has grown and doors continue to open for new avenues of ministry across the country. Knowing God has truly blessed Great Day with a clear vision to serve Him; we look forward to the future and are humbly approaching what God has planned for Great Day.